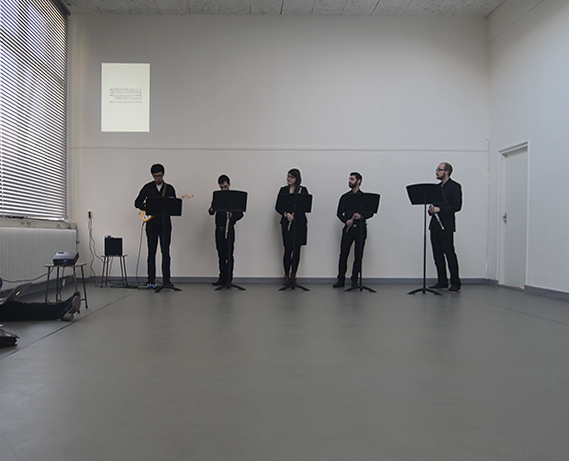 A musical draft is followed, through the hesitations that it encounters on its way to the final melody. 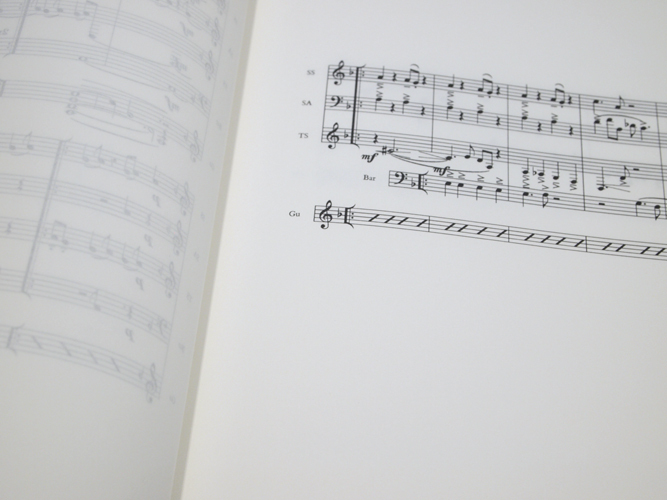 The draft contains the essence of the final musical piece, but a gap separates it from this final piece. This gap is explored. A subtraction is made. A new score is deducted out of the two others. 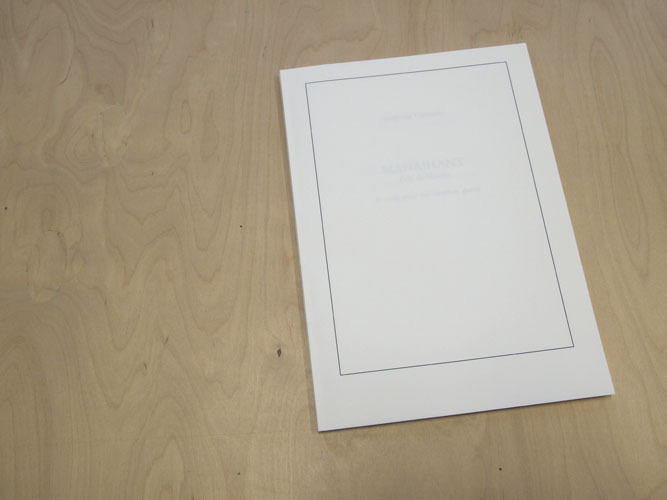 The draft and the final score are compared, in a desire to trace back the process of composition. Three realities emerge: notes have been erased, notes have changed place and notes have been added. 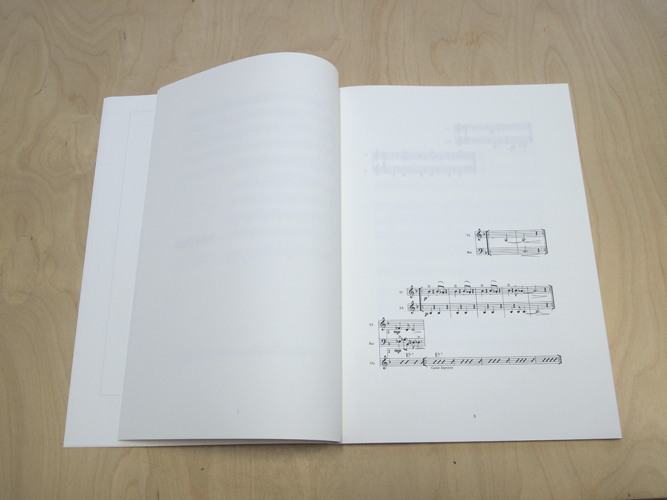 While the score divides itself into three, each page is multiplies itself by three. The first contains the discarded notes, that were not supposed to be heard. 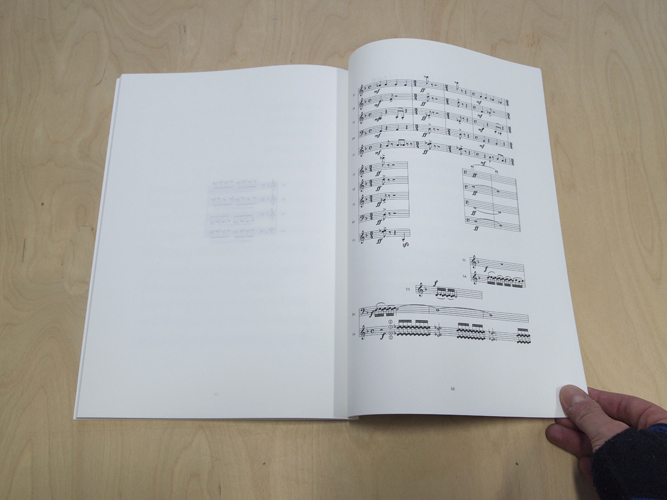 The second contains the changed notes, that make manifest the hesitations of the composer. 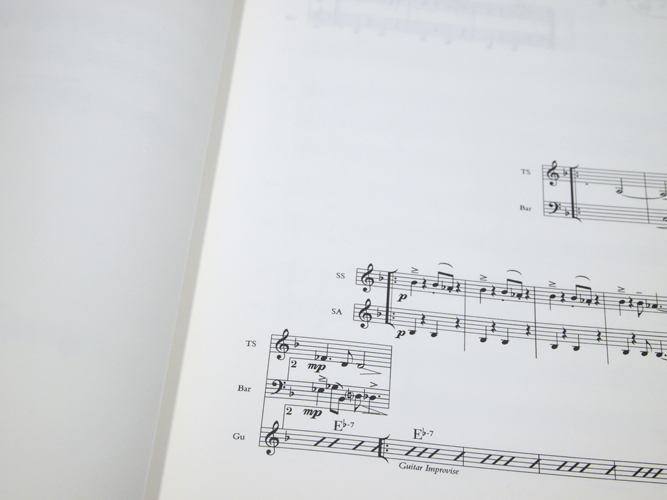 The last contains the added notes, that add to the initial draft the sufficient matter that gives it the consistency of a musical piece. 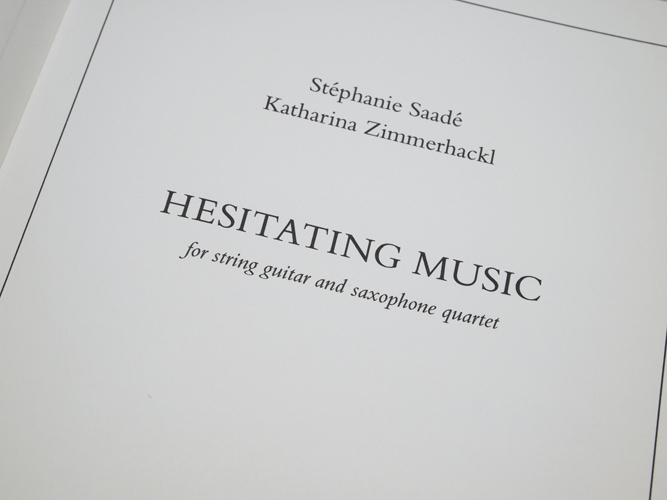 When played, Hesitating Music allows the listener to listen to the process of composition.